If you, like us, spend most of your time jumping out of aeroplanes, skiing down mountain sides and scuffing up the half pipe on your BMX, chances are you’ll want to share your exploits with the world. Trouble is, simply describing that 15,000 feet sky drive you just completed doesn’t make for a very exciting YouTube channel – what you need is an action cam. 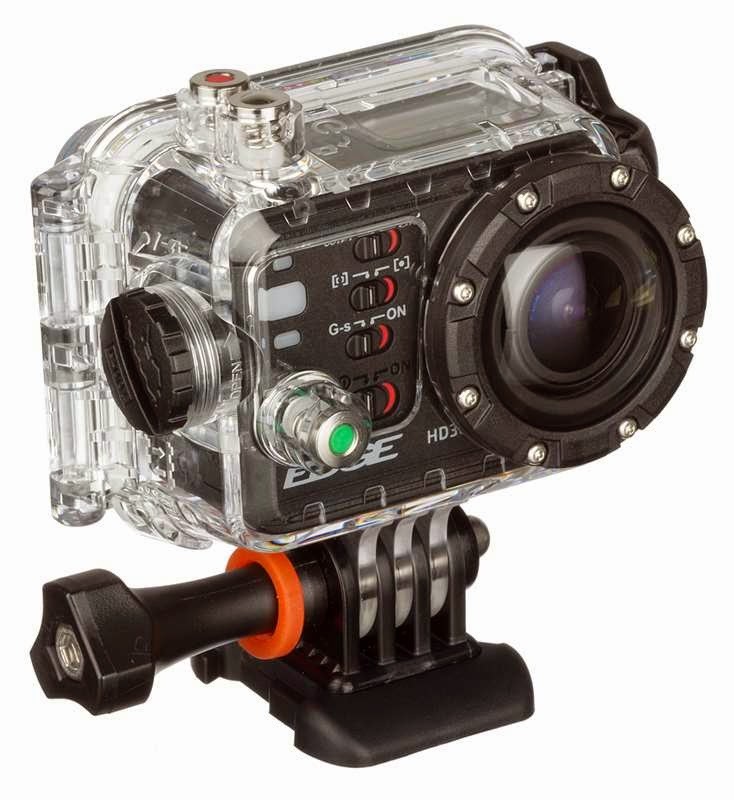 Believe it or not, GoPro is not the be-all and end-all of the market, as we discovered after testing the KitVision Edge HD30W Action Camera. Priced a little lower than their biggest competition, KitVision have made the Edge HD30W light, compact, but still feature-packed. Of course the headline is the camera itself, being able to capture 1080p video at both 30 and 60 frames per second, and the ability to snap 8 megapixel photos with the 175 degree lens. To begin with that places it up there with the best GoPro has to offer, but it doesn’t stop there. Bundled in with the camera you get a host of useful accessories, the most interesting of which is the detachable TFT screen. 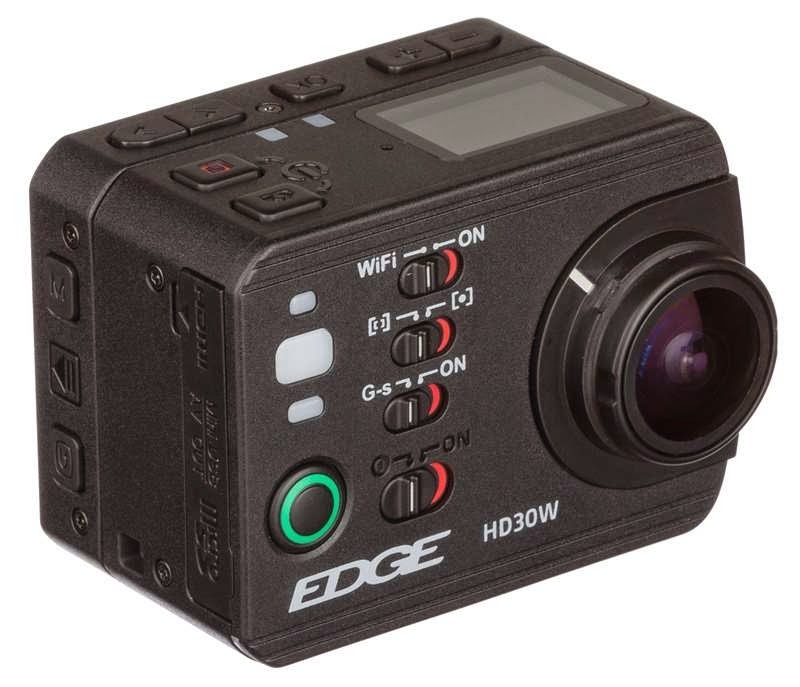 That means that without a screen the Edge HD30W is extremely light and less bulky than other action cams which have one permanently attached. Is that weight reduction noticeable? Not really on your head while mounted on your helmet, but while attached to the underside of a drone… oh yes. 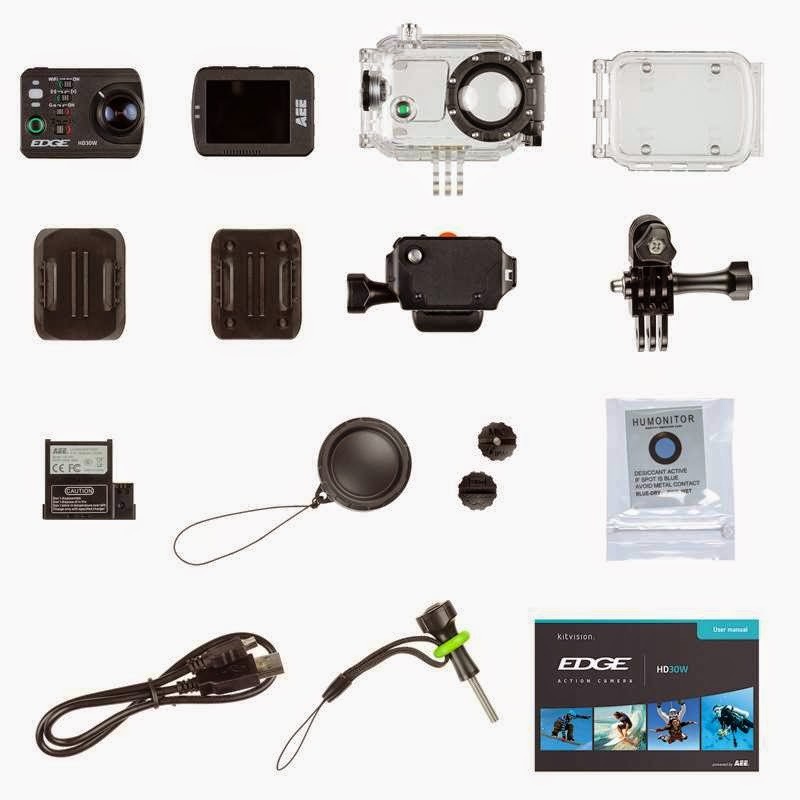 You also get an assortment of mounts which allow you to fix the Edge HD30W to both a flat surface and a curved surface (such as the aforementioned helmet), as well as a waterproof encapsulating clear case for aqua adventures. The case is water-tight down to 100 metres, making the cam great for scuba drivers. And yes, you can remove the USB rechargeable battery which will, once charged, give you three hours of use. WiFi is built-in; a great feature for both transferring saved video and photo files, and also for connecting to the KitVision smartphone app (which does a great job of remotely controlling the cam). Setting all this going is pretty simple, and having clear switches on the front of the cam makes a big different when compared to other small video cameras which require you to know what pressing the same button three times does. 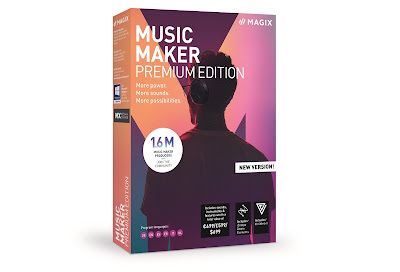 So an easy to use cam, producing some great video and images.